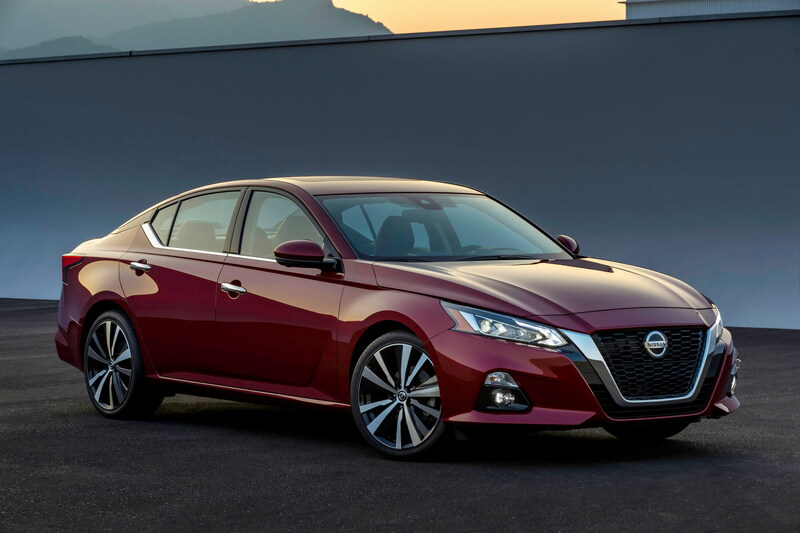 The Japanese-based carmaker Nissan has landed at the 2018 New York Auto Show with an exciting model in the shape of the new Altima, a refreshed car with new technologies and much more powerful turbo engine under the hood. 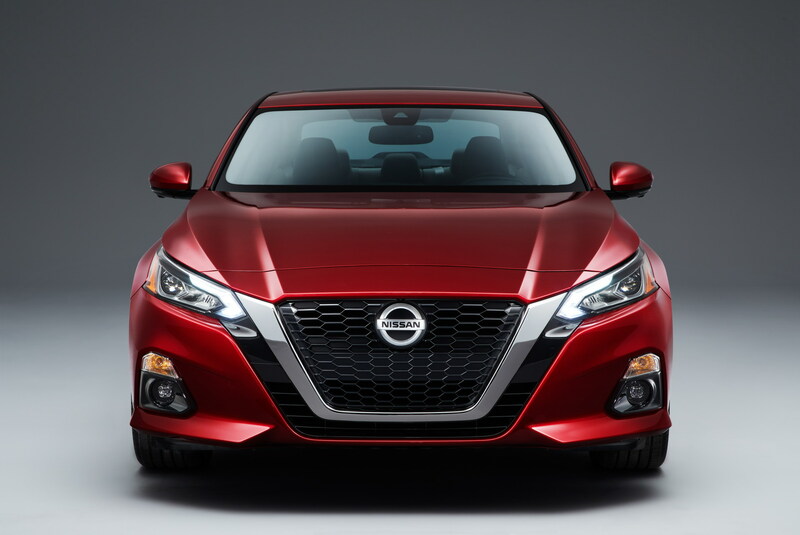 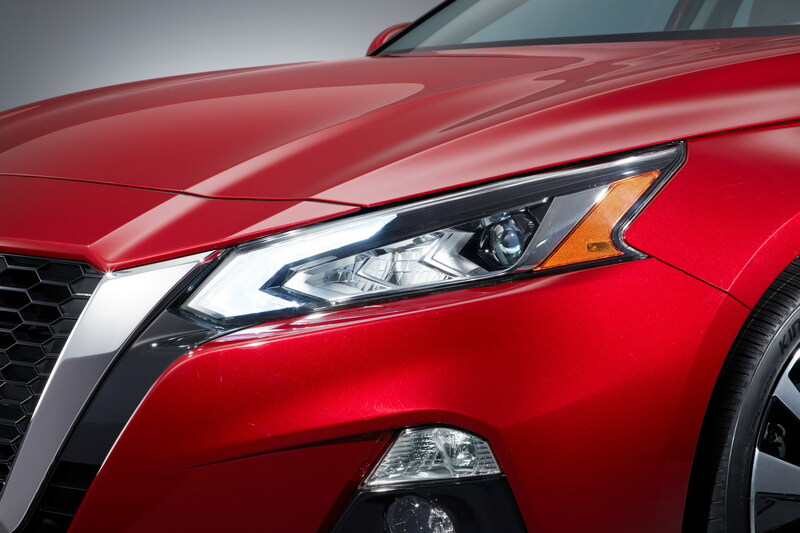 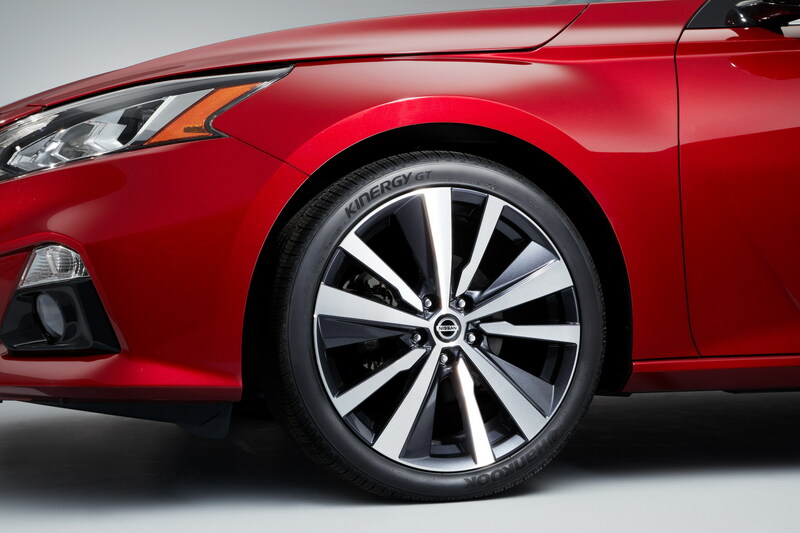 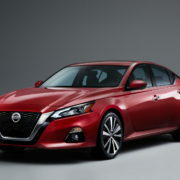 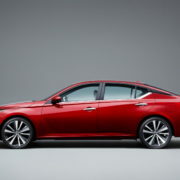 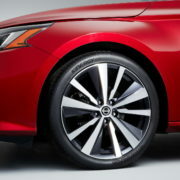 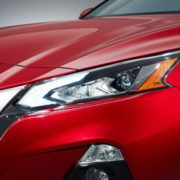 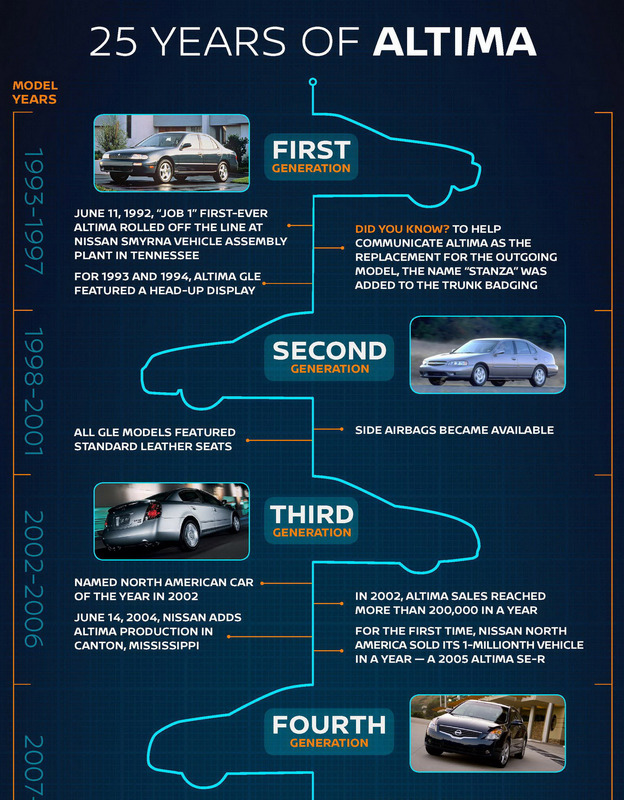 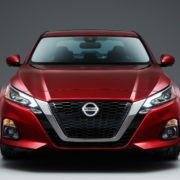 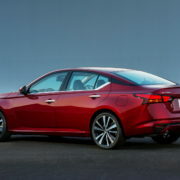 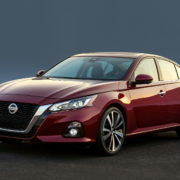 As we can depict from the videos presented below, the 2019 Nissan Altima benefits from the company`s new V-motion design philosophy, with the V-shaped grille and new headlights. 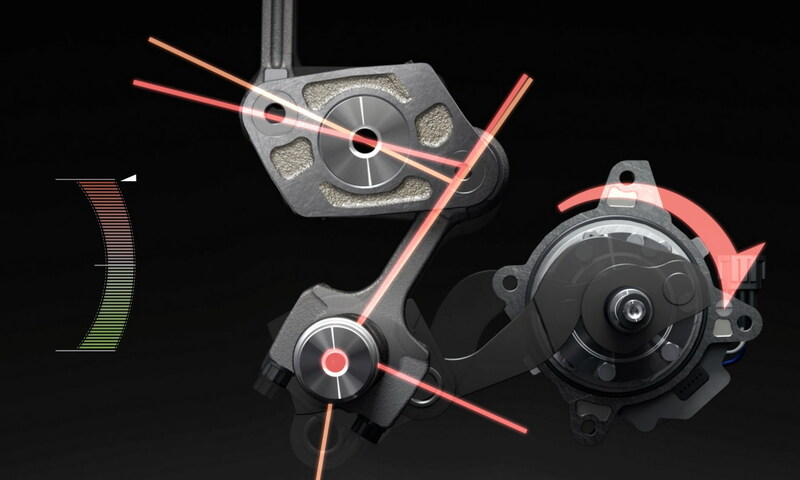 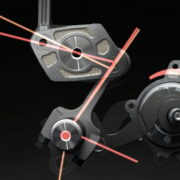 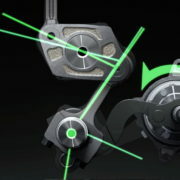 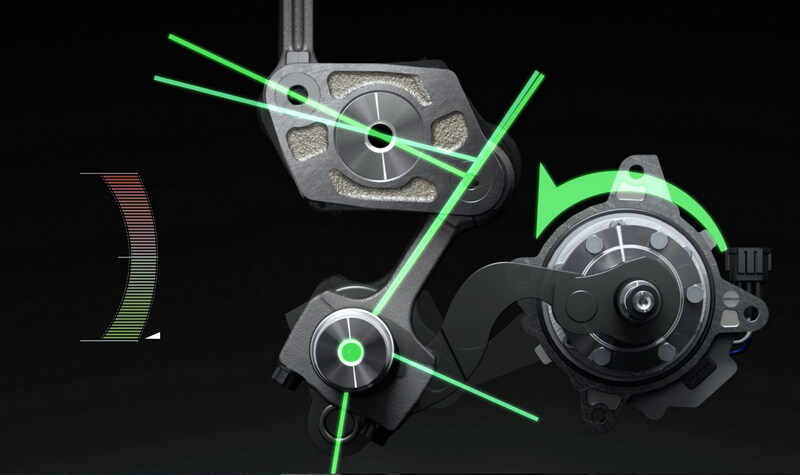 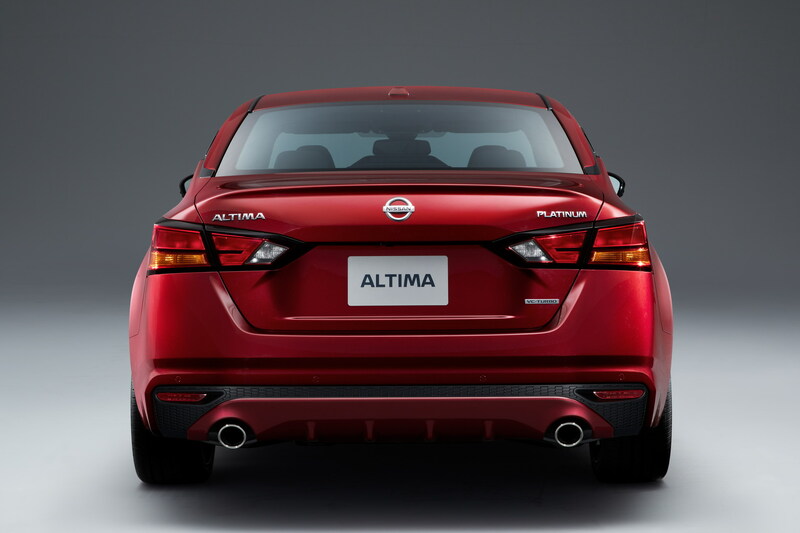 The overall design lines have now evolved and visibly separate the new model from the previews one. 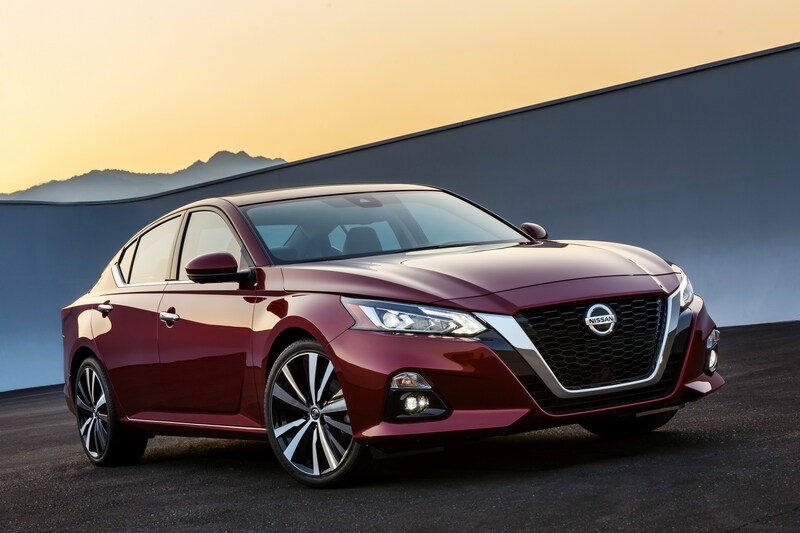 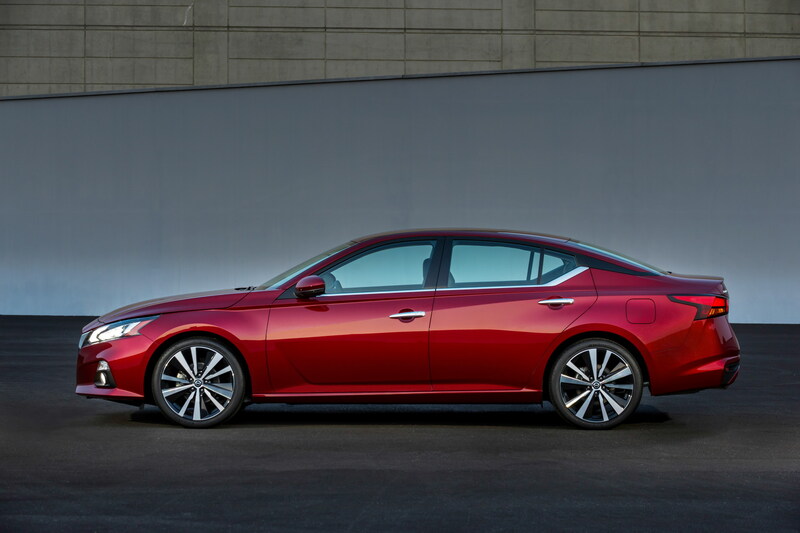 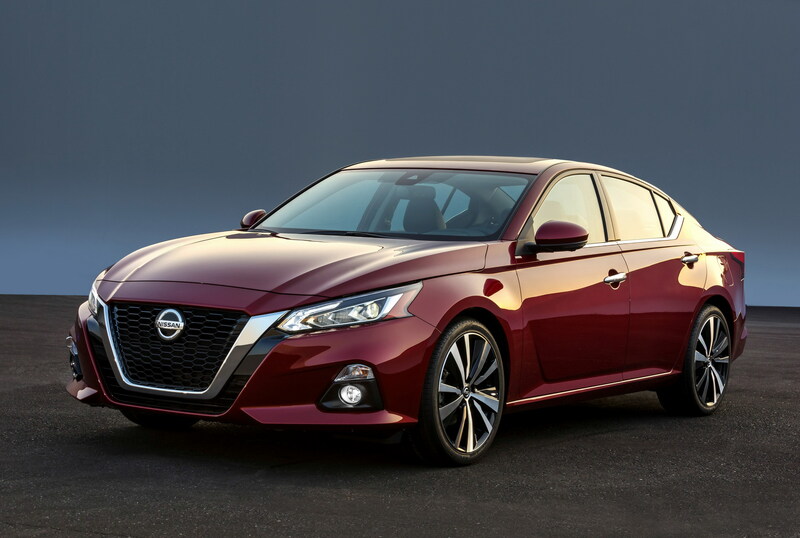 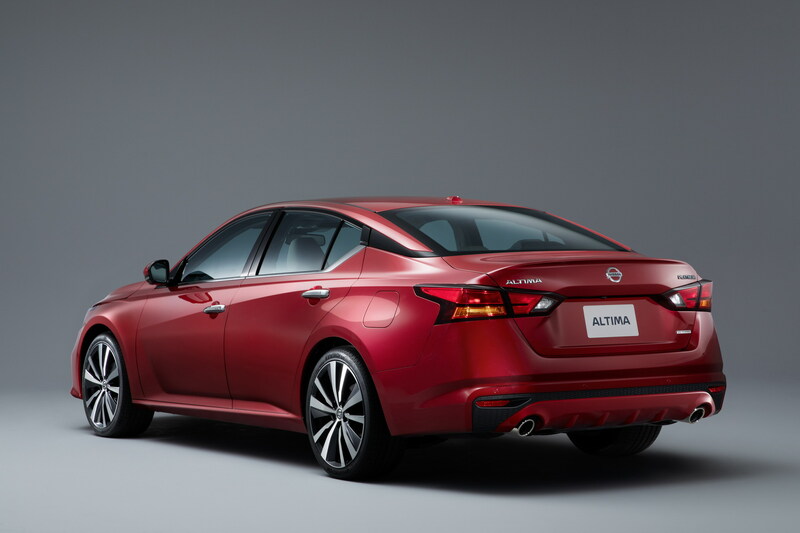 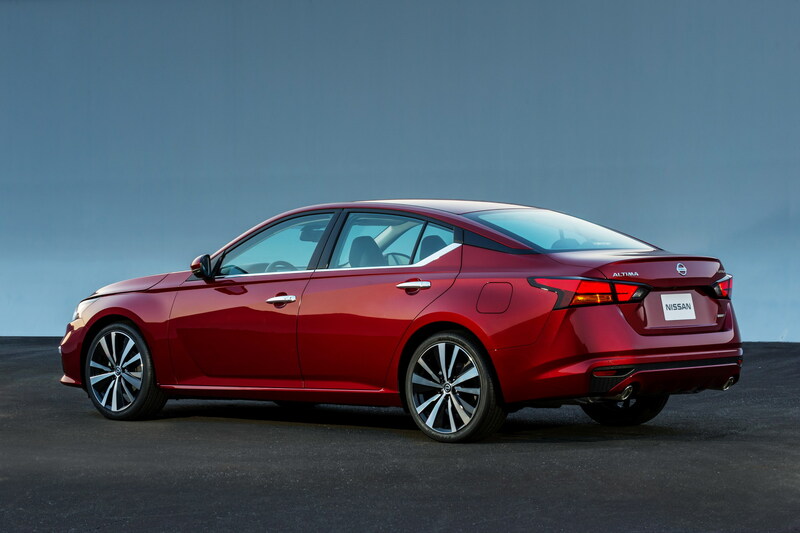 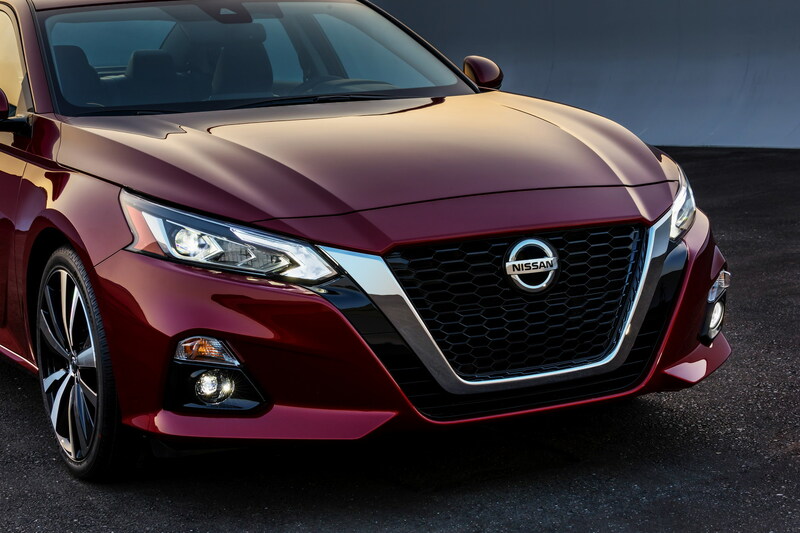 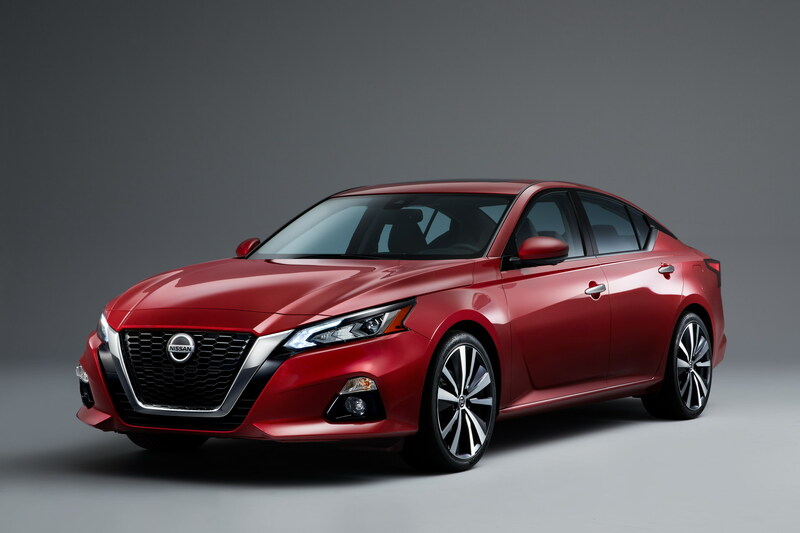 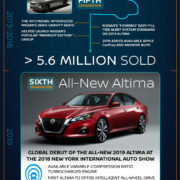 With the new 2019 Altima, Nissan wants to “shake up the midsize segment in terms of design, driving enjoyment and technologies that are advanced and affordable,” as Denis Le Vot, Senior Vice President, recently declared in New York. 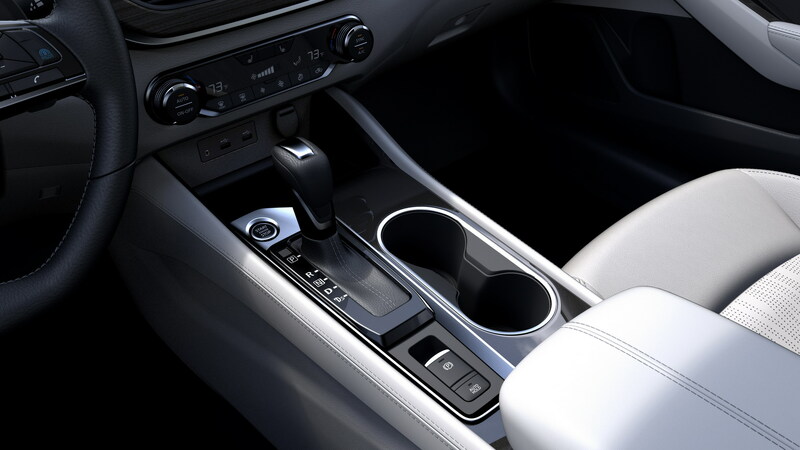 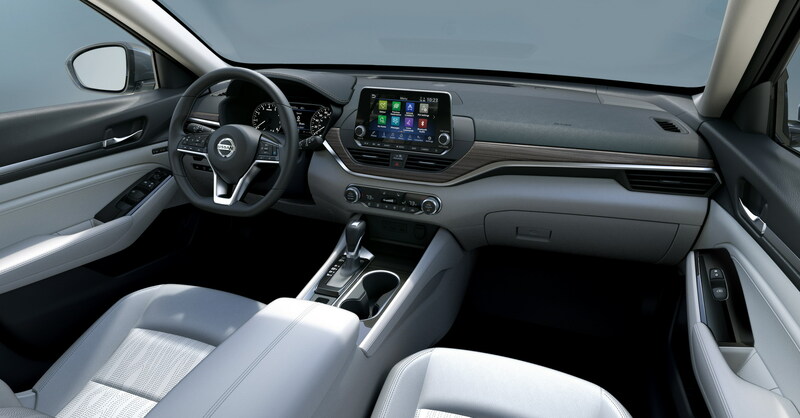 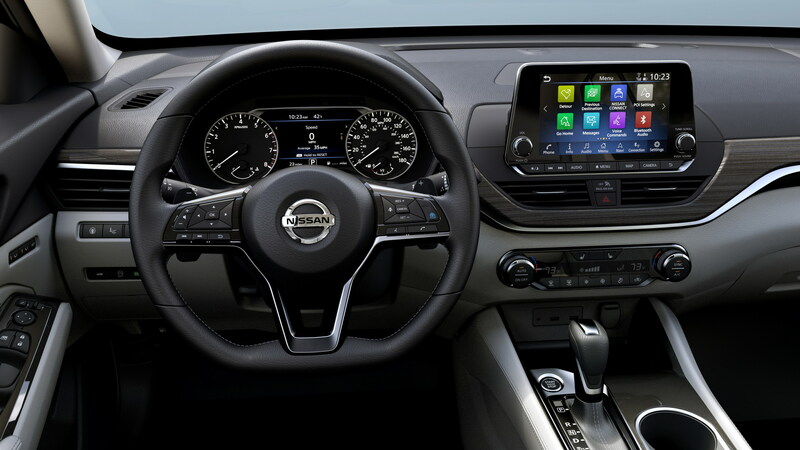 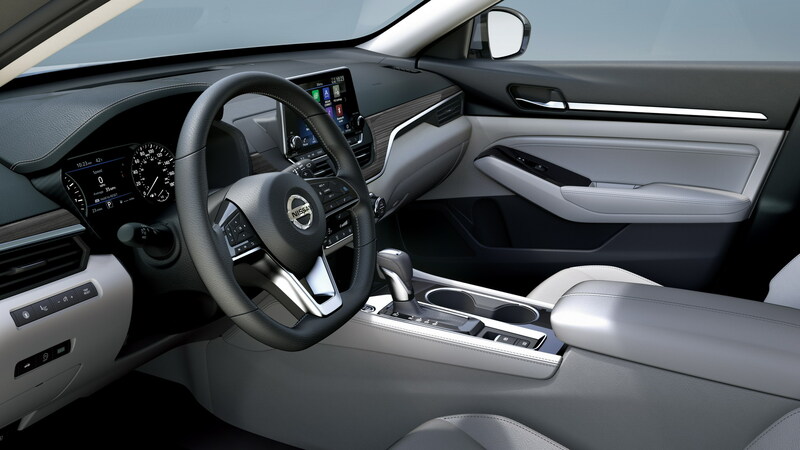 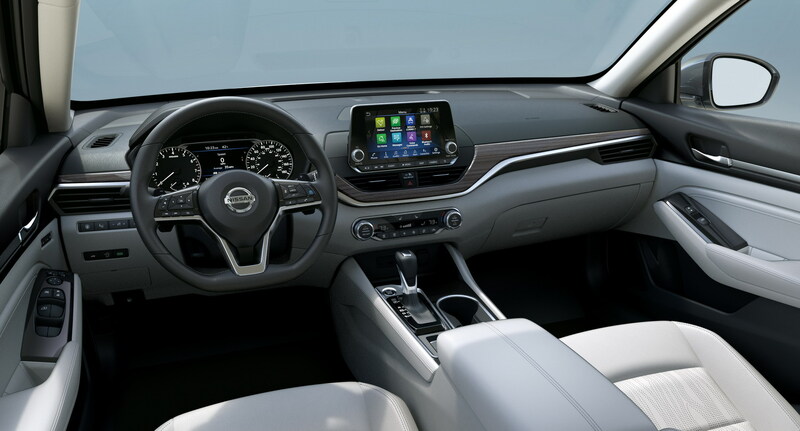 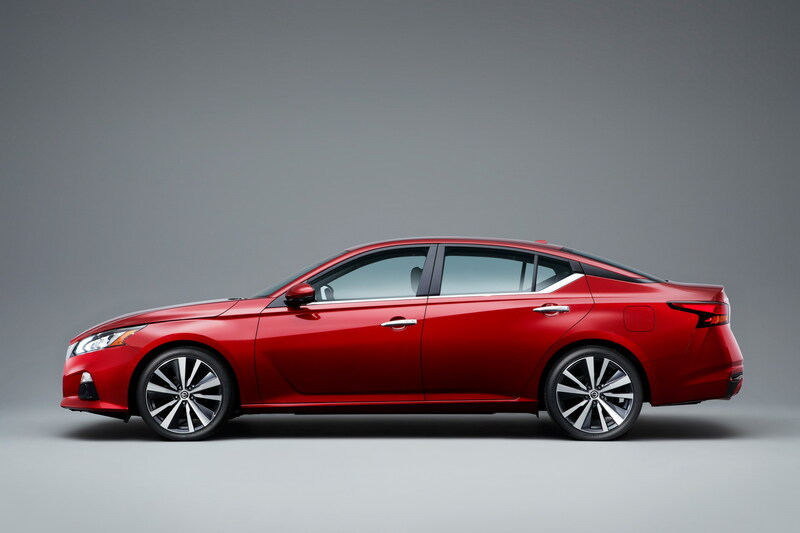 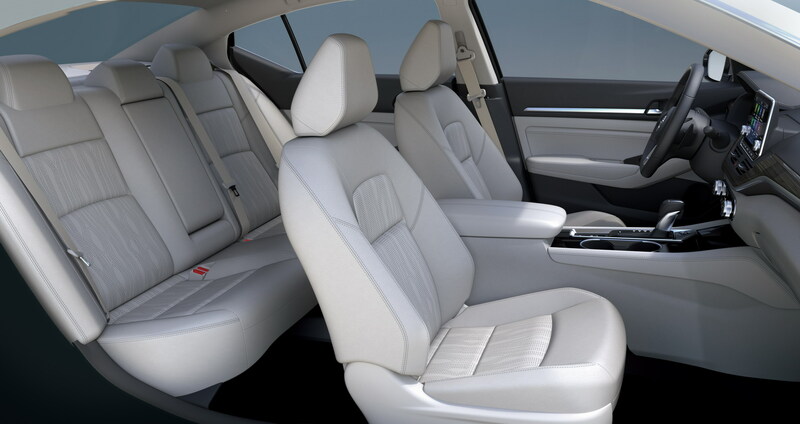 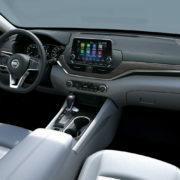 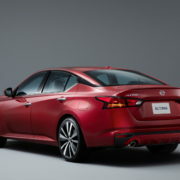 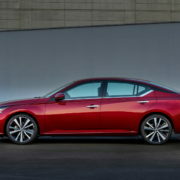 The new Altima`s interior has also been redesigned, offering a suite of technologies. 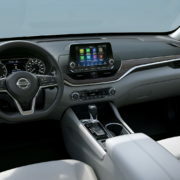 The main highlight is the company`s latest ‘gliding wing’ instrument panel with new seats with added bolstering, as well as NissanConnect SM with Apple CarPlay, Android Auto, eight-speed multi-touch colour display and three-spoke steering wheel. 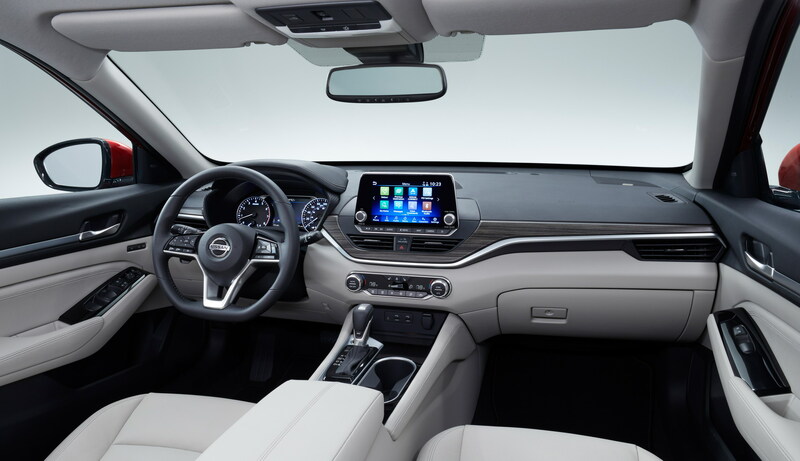 There is also the safety package, which boasts the latest features – Rear Automatic Braking, Automatic Emergency Braking with Pedestrian Detection, Rear Automatic Braking, Lane Departure Warning, radar-based Blind Spot Warning, Rear Cross Traffic Alert, and High Beam Assist. 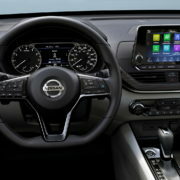 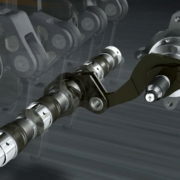 The company`s new semi-autonomous ProPILOT Assist System brings forward advanced driving conditions. 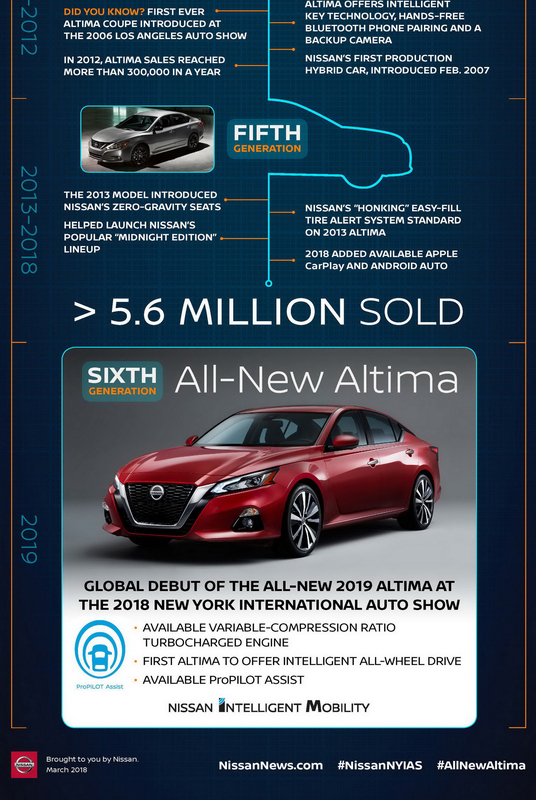 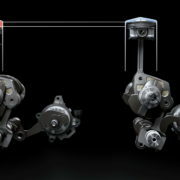 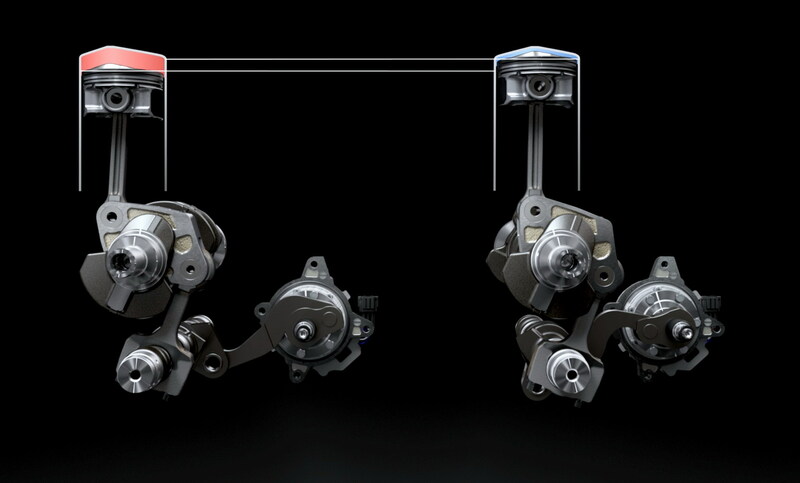 Available in no less than five trim levels – Altima S, SV, SL, SR and Altima Platinum – the all-new 2019 Altima is equipped with three engines. 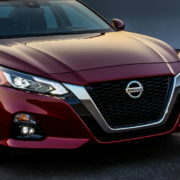 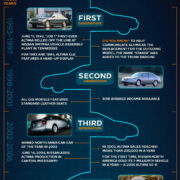 There is a standard 3.5-liter engine with all-wheel drive available on all variants, adding as well a 2.0-liter and a 2.5-liter on the higher trim levels SR and Platinum. 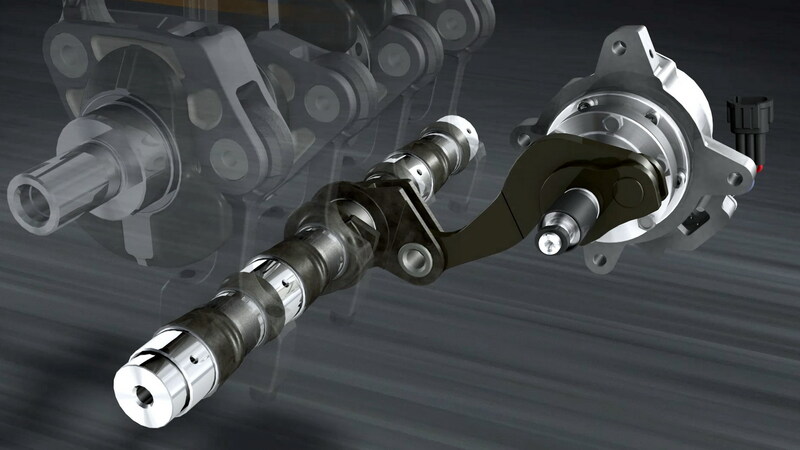 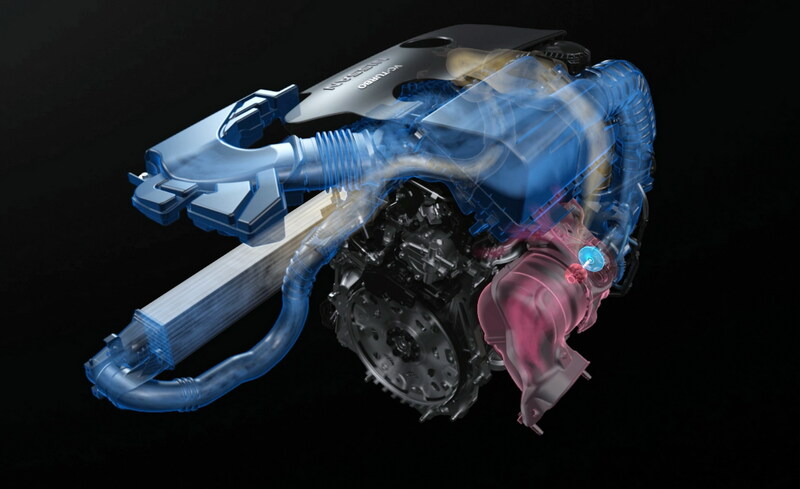 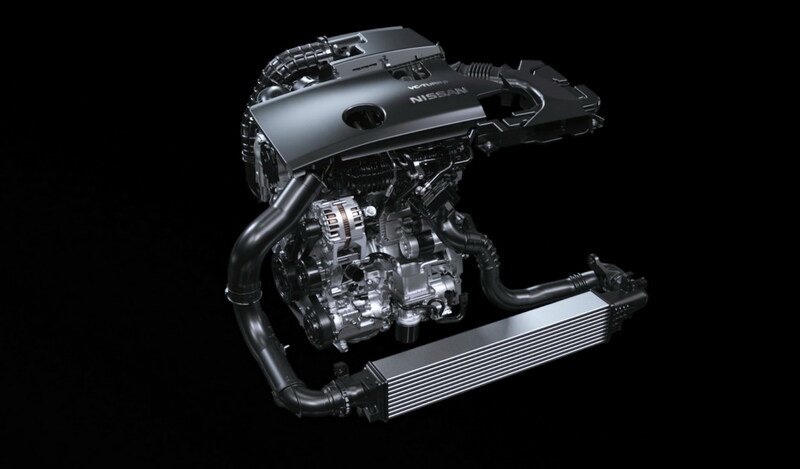 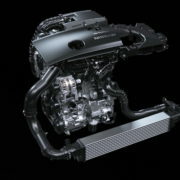 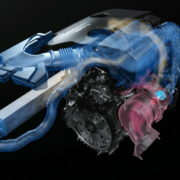 The 2.0-liter engine replaces the previous 3.5-liter V6, and features a variable compression turbo configuration, introduced for the first time by Infiniti. 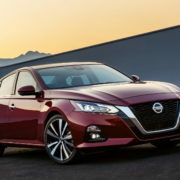 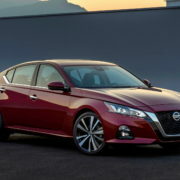 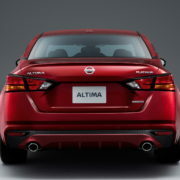 Full details of the new 2019 Nissan Altima are provided in the two official videos released below by the Japanese carmaker.